Next Next post: Hiding in My Craft Room Challenge #296 April 8th – Super Scraps Saturday “My Besties”! Absolutely gorgeous Christine. 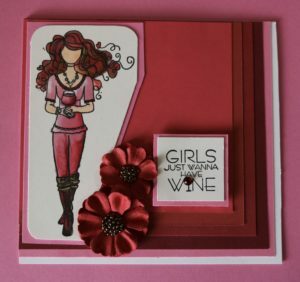 Love how you coloured that girly image and those layered colours are perfect for the monochromatic challenge. I have not checked in here for some time as I thought it was getting boring, but the last few posts are really great quality so I guess I will add you back to my everyday blioglst. You deserve it my friend.